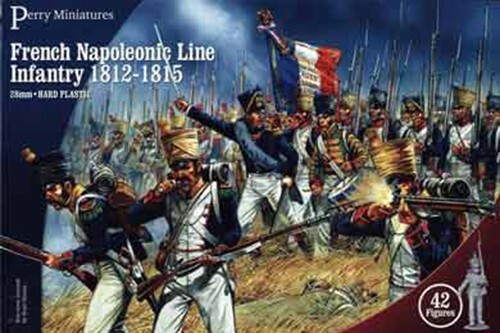 Perry Miniatures 28mm There are 18 products. 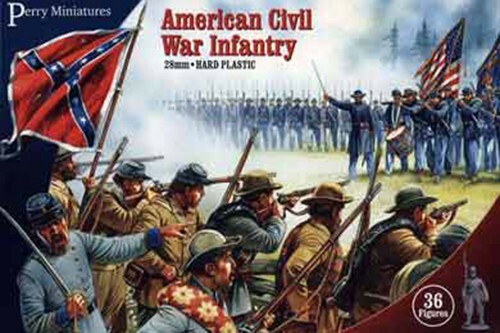 Box - Plastic There are 48 figures in the box, two flags, unit bases and a full painting guide. the command consists of an officer, standard bearer, drummer, sapper and two NCOs. 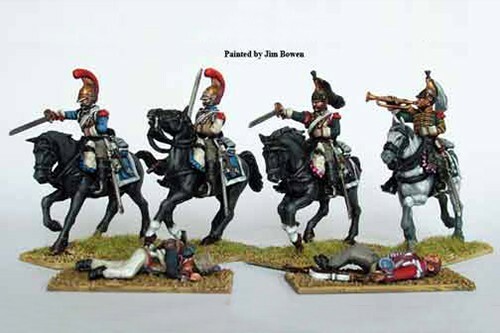 The box contains heads for all figures with either helmets.. Box - Plastic of 36 figures. 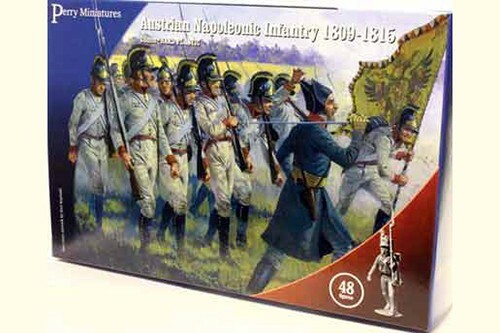 Box - Plastic of 12 mounted figures. 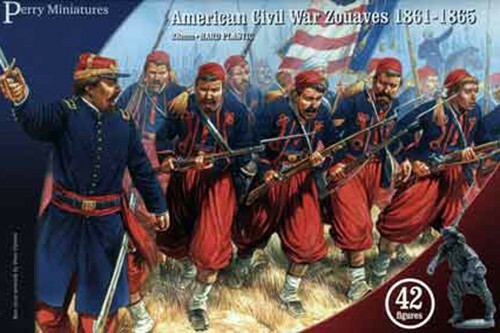 This box contains 42 Zouaves including command.also includes uniform guides flags and bases. 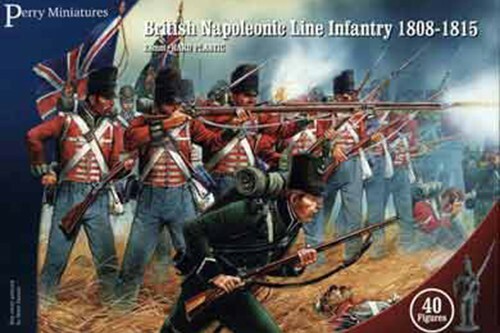 Plastic Napoleonic British Line Infantry box set ( 36 Line Infantry, 4 Riflemen). Box contains . 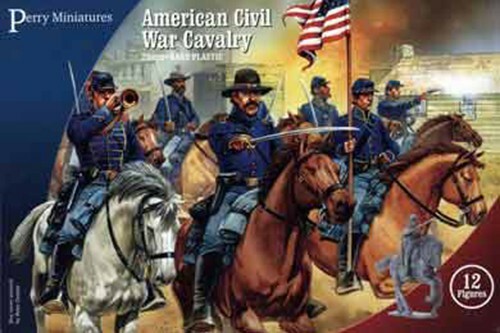 14 mounted figures . Unit bases . Painting guide. 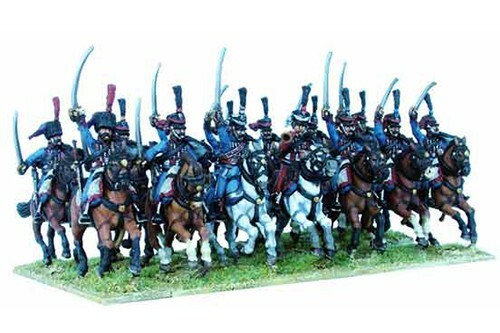 Box - Plastic French Napoleonic Line Dragoons (13 mounted, 8 dismounted). 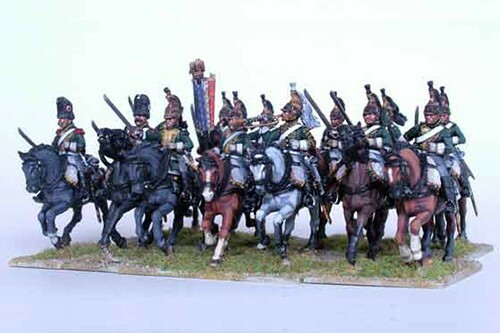 Box - Plastic French Napoleonic Hussars (14 hussars). 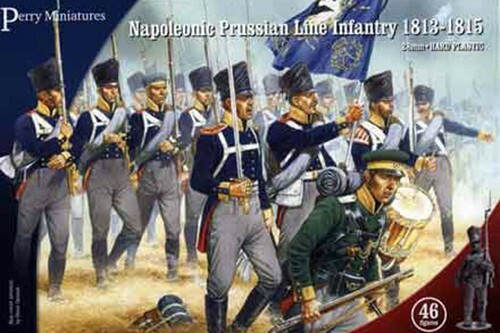 Box - Plastic Plastic Prussian Napoleonic Line Infantry and Volunteer Jagers (46 figures) The set comprises of 40 Line Musketeers/Grenadiers plus a detachment of 6 Volunteer Jaegers which were often attached to regiments The command frame comprises of one officer, one standard bearer, one drummer and an NCO.. 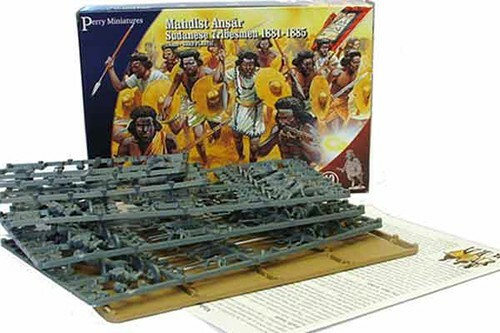 Box - Plastic Mahdist Ansar - Sudanese Tribesmen 1881-1885.